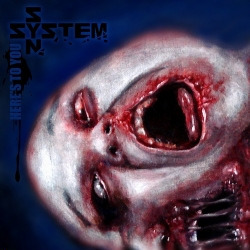 Here is System Syn’s Here’s To You is a single off their forthcoming album Strangers. This seven track single is packed with greatness, you get “Here’s To You” and three remixes of it, a Imperative Reaction remix of “The Inconvenient”, a track called “Lead” and a cover of REM’s “Losing My Religion”. The single is a strong track with catchy lyrics and just screams play me. This is for those who have pre-ordered the single but have not/can't wait to receive it.